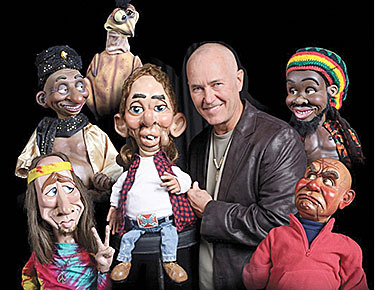 Entertainer Marc Rubben will be bringing all these characters to Petersburg. Petersburg’s annual Christmas Supper and Entertainment will be held Monday, Dec. 19, starting at 6 p.m. with social hour and the 7 p.m. supper in Werner Hall. This event is sponsored annually by the Petersburg Community Club, and tickets will be on sale soon. Featured entertainer at 8 p.m. will be comedian and ventriloquist Marc Rubben with his amazing characters: a half baked chicken, a Jamacan Rasta, and a tattoo clad Redneck complete with grungy teeth and a mullet to name just a few.